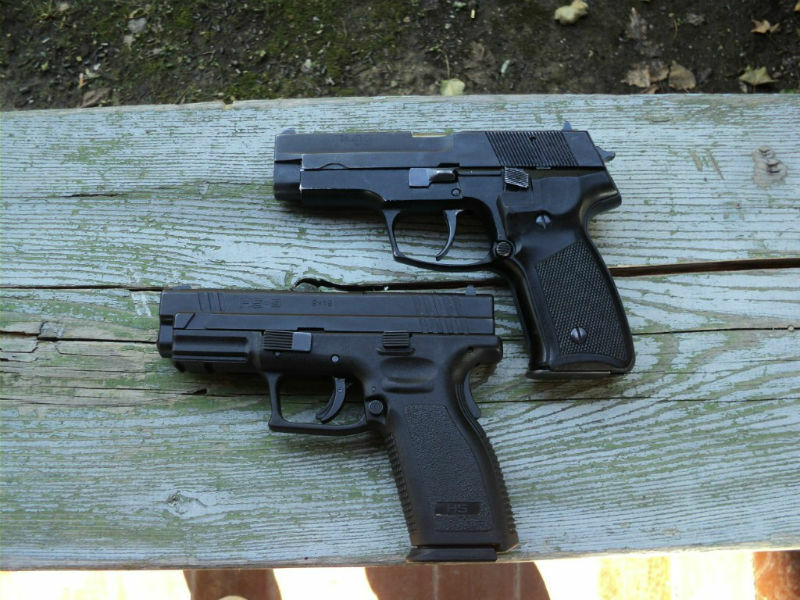 Some people like a bit more firepower, which is why some people swear by 10mm handguns as a good all-around caliber. The 10mm actually has a lot to offer, as softer loadings are fairly easy to shoot and the full-house loads are every bit the equal of the .357 Magnum. You can use it for daily carry and as a backup in the woods alike. However, not everyone makes one - it's a much rarer chambering than 9mm, .40 S&W or .45 ACP. That said, if you wanted to put one in a holster and strap it up with a gun belt...these would be the ones to get. The Colt Delta Elite was the first handgun developed for the cartridge from a major manufacturer. (The Bren Ten came first, sure, but Colt was the first of the major players.) Others came later, but Colt beat them to the punch by unleashing the Delta Elite in 1987. 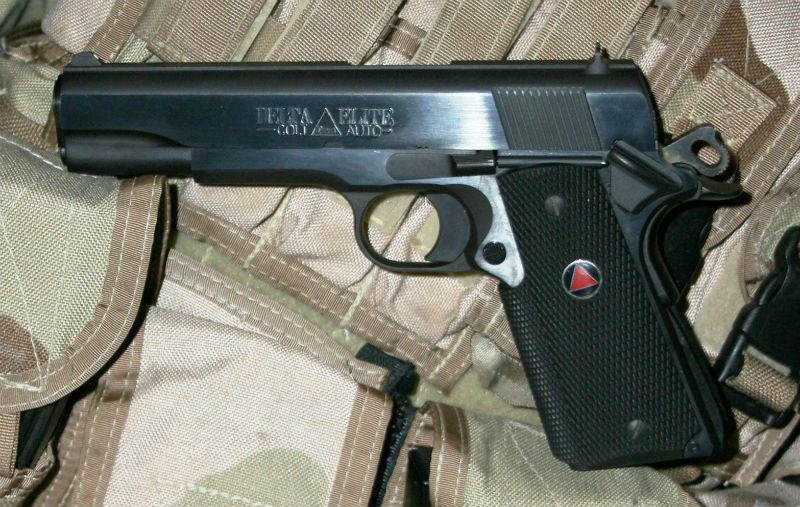 The Delta Elite is a Series 80 1911, modified for the 10mm cartridge. Early models were known for cracking frames due to some metal being added to the frame for stiffening, though Colt changed the design to allow the metal to flex, making the pistol that much more durable. The Delta Elite is nearly a do-it-all gun as it's good for defense and even handgun hunting, though the Government frame makes it a bit much to carry concealed for some folks. 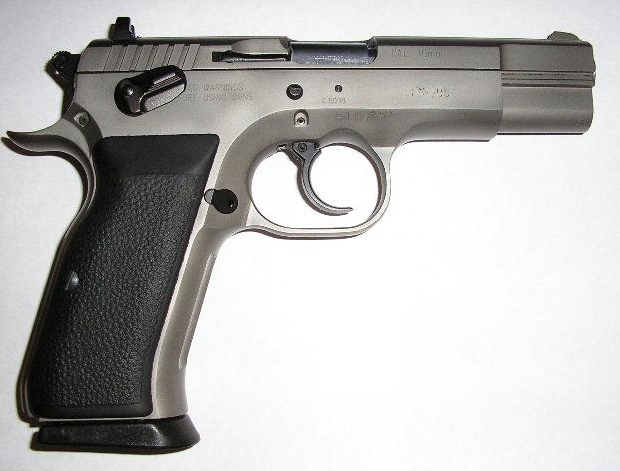 Then again, one of the most popular concealed carry .45 pistols, even in the full-size configuration. The Delta Elite set a trend, as a number of 1911 makers now have a 10mm variant available, including such companies as Dan Wesson, Kimber, Nighthawk and STI. Remington has a long-slide 1911 coming to market soon as well. Besides the Delta Elite, one of the first 10mm pistols to hit the market was the Glock 20, which debuted in the early 1990s just after the Smith and Wesson 1006 series. (A variant thereof, the 1076, was briefly the FBI's preferred duty pistol.) Unlike the DE and the 1006, it had Glock's striker-fired action and accepted a double-stack magazine, increasing capacity to 15 rounds. Glock still makes the 20, and it has found it's way into a number of police departments and military units worldwide. However, it also - because Glock - has compact and long-slide variants. 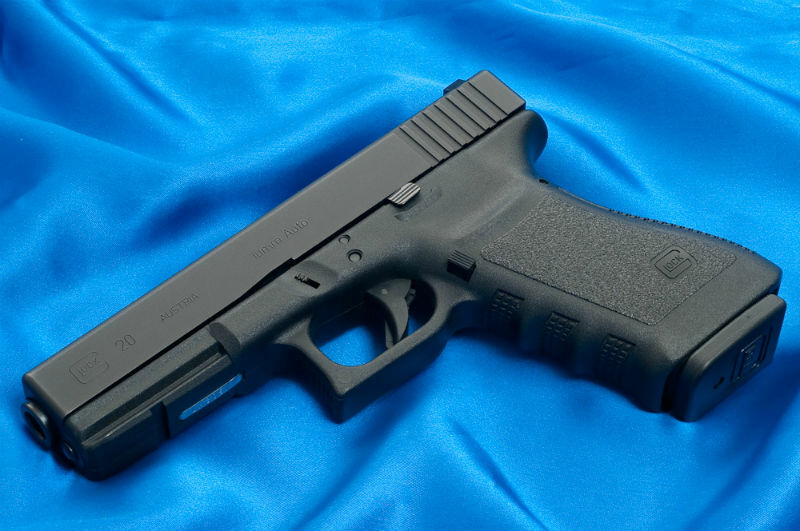 The Glock 29 is roughly equivalent to the Glock 26, and a number of semi-auto handgun hunters have taken to the longslide version: the Glock 40, the biggest handgun they make. If you prefer a poly-striker to DA or SA pistols, this is the one to get. The Springfield Armory TRP 10mm RMR Longslide has a really long name. It also has a real long slide, as it features a 6-inch match barrel and matching slide. It also will take a long time to pay off, as the jaw-dropping price tag ($2300) is staggering. But for one, you're getting quality. The TRP 10mm RMR is a semi-custom pistol, with a hand-fit slide, bushing and barrel. It's packed with features, including a magwell for fast reloads, Trijicon optics and co-witness sights, G10 grips and all the bells and whistles you can imagine. It's also ridiculously easy to shoot, even with the powerful 10mm round. It's also ridiculously easy to shoot accurately. There are plenty of 10mm pistols out there, but few in this same class. If you want a range toy for big-bore plinking, it's probably not the gun for you. But if you want to invest in an absolute hammer that will put meat in the freezer or ring steel for decades, this is THE gun to get. Sig Sauer recently entered the 10mm arena with the Sig Sauer P220 Hunter, which can now be had in 10mm. The P220 was the gun that really started it all for Sig Sauer, as that pistol broke them wide open as one of the premier providers of service pistols and it has been a mainstay among police and select military personnel ever since. This isn't a poly-striker affair; it's an enormous hunk of steel, though the P220 Hunter uses a single-action system rather than Sig's classic SA/DA trigger system. It will also set you back a fair bit to acquire as MSRP is more than $1,600. That said, it's a Sig - and you will get your money's worth. So will your grandchildren, because that's how long a Sig will last with even moderate care. Last but not least is the EAA Witness, which is kind of a sleeper among the 10mm guns. It's too bad, too, because it shouldn't be overlooked. Tanfoglio, the Italian company that makes the pistol (EAA just imports them for sale) based the Witness line on the CZ-75 pistol, which has yielded a reputation for easy, accurate shooting and superb ergonomics. It also is available in a wide range of calibers; the Witness also can be had in 9mm, .40 S&W, .45 ACP and .38 Super. It's the lone SA/DA pistol on this list, but it comes with a manual safety rather than a decocker. Cocked and locked carry is possible, though it can also be carried in double action mode. 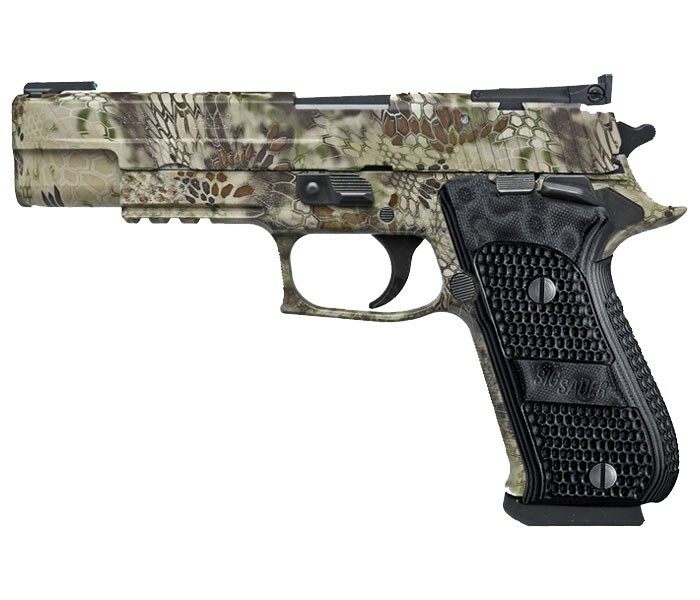 There are several grades of this pistol available, from polymer-framed carry models, steel-frame models all the way up to match-grade target and hunting pistols. It's really up to the buyer. Oh, and top tip: Bren Ten pistols, the first 10mm guns, were likewise based on the CZ-75. They likewise had a manual safety rather than a decocker. They likewise were all stainless steel. They are also very rare and expensive on the used market. However, a Witness with all the same specs can be had very easily and cheaply - the all-steel models (in stainless) go for about $500.